The first phase of building an electricity line linking power grids in Egypt and Sudan is set to be completed within the next two months, Egypt’s Electricity Minister Mohamed Shaker announced on Tuesday. In statements made during the opening session of the first ministerial meeting of the Africa Renewable Energy Initiative (AREI), Shaker highlighted Egypt’s participation in all regional electricity linking projects. The electricity linkage between the two countries is 167km-long, 100km of which is in Egyptian territory between Wadi Halfa and Toshki. The rest is in Sudan. The capacity of the line is 100 MW at a voltage of 220 KV, which can be increased to 300 MW or more in the future. The cost of the line on the Egyptian side is about $6.7 million, and is funded by the Ministry of Electricity and Renewable Energy. 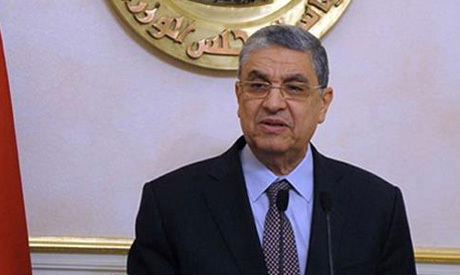 The statements come a few days after the chairman of the Egyptian Electricity Transmission Company (EETC) Gamal Abdel-Rahim said that the start of an experimental run of the electricity connection between Egypt and Sudan is scheduled for the end of February following a number of delays due to difficulties in construction in the area. Egypt seeks to act as a regional electricity hub, exchanging electricity with nearby countries during peak demand and exporting electricity at cost to countries in need. The country already has existing electricity links with Libya and Jordan, with a scheduled plan with Saudi Arabia to establish a line with a capacity of 3,000 MW at 500 KV DC. A feasibility study by EuroAfrica Interconnector, the developer of an electricity connection project between Egypt, Cyprus, Crete-Attica, Greece and Europe, has been finalised, according to Shaker.